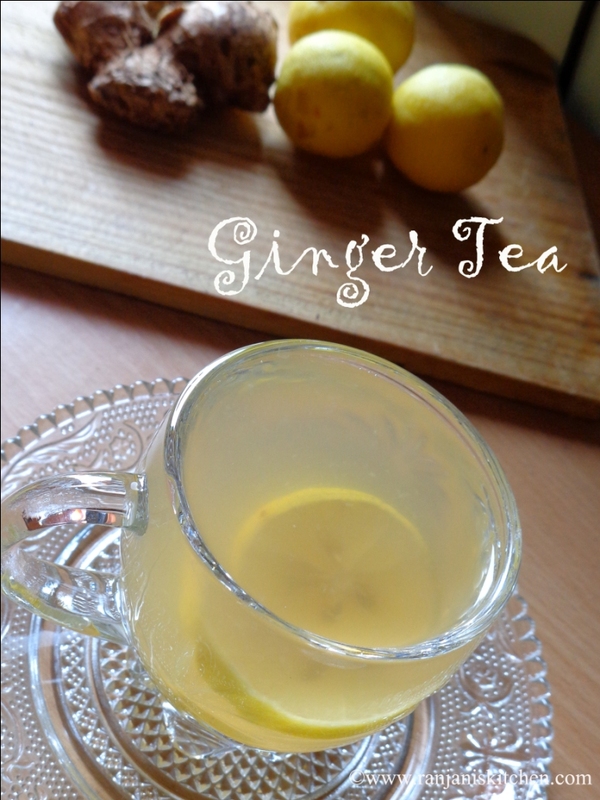 Ginger Tea – its highly refreshing and healthy drink. Its better to add ginger in any form on our daily food. I used to add grated ginger in tea. 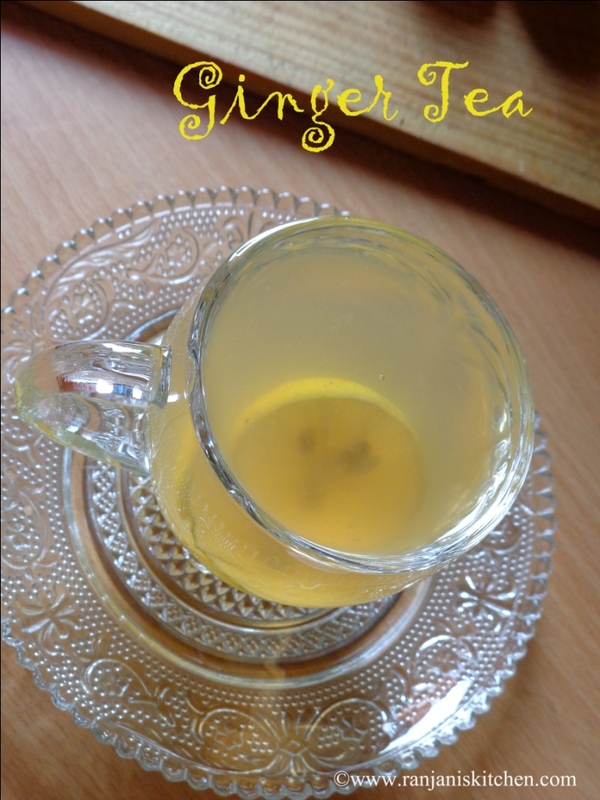 The ginger flavour is really refreshing and ache relief. 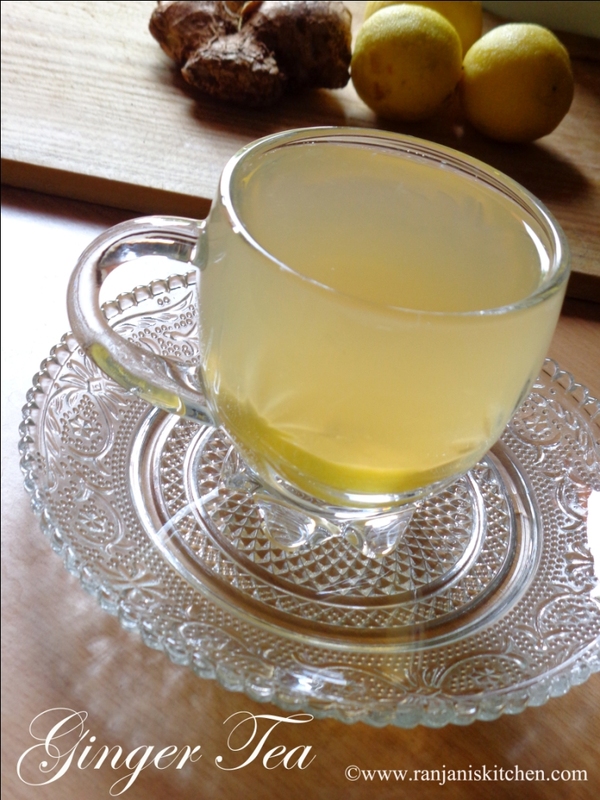 But if we want to prepare without milk, we can prepare it with lemon and honey touch. You know this combination works best to remove excess fat in body. We can consume this tea for 2 to 3 times a day for better result. 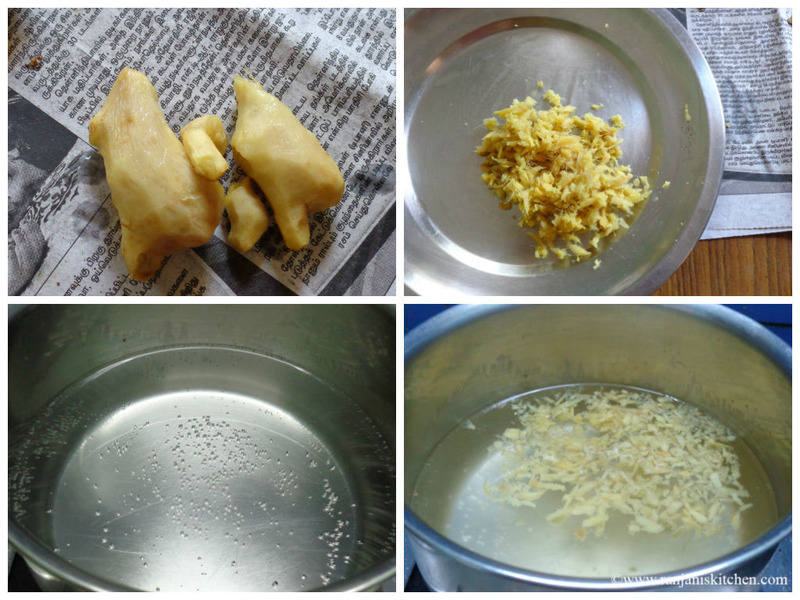 Discard the skin from ginger and wash it thoroughly in a tap water. Now grate it using a grater. It should be around 3 tbsp. Slice the lemon as wheels and keep aside. Now boil 4 cups of water in a sauce pan. Once it heats to bubbling stage , add grated ginger. Allow it to boil for 5 to 6 mins. Then turn off the flame and drain it in a filter to discard the ginger pieces. Instead of grating the ginger , you can coarse grind the ginger. Also in place of honey, you can replace jaggery or Palm Jaggery( Panai vellam). It will taste different and nice :). If the honey is not sufficient for sweetness, you can increase the honey level. love it…wish to have it right now.